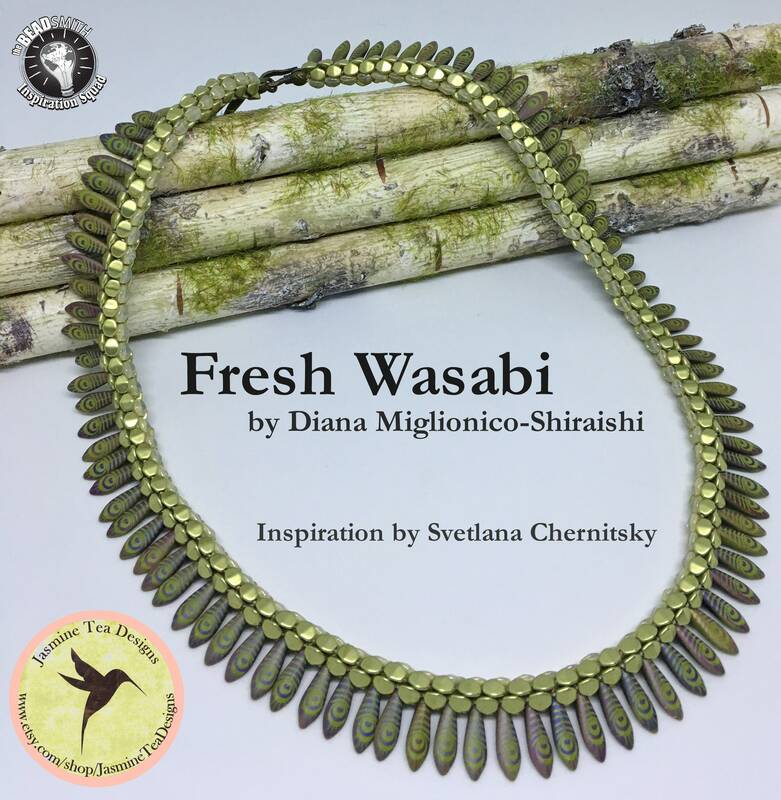 Creating 'Fresh Wasabi' was such fun with inspiration from Svetlana Chernitsky's 'Pinch Me' necklace published in Bead & Button magazine, April 2017! The feel of this necklace is incredible! It has the feel of finely crafted jewelry and lay beautifully on the decollete. 'Fresh Wasabi' slightly more than 22 inches including clasp. 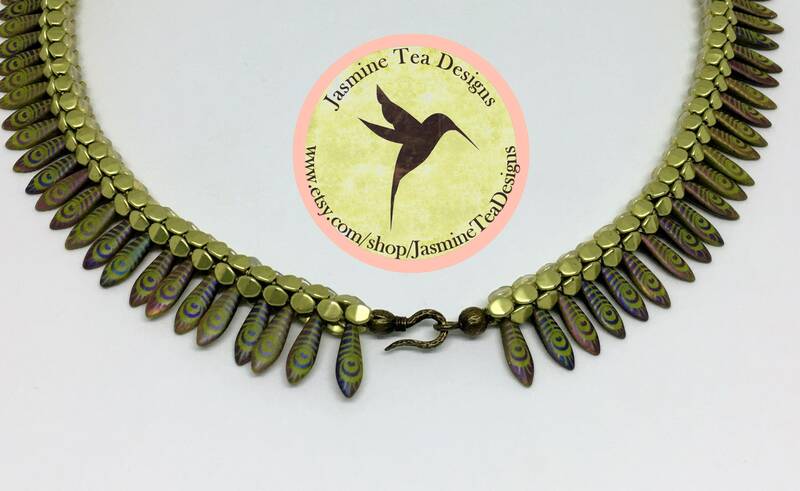 Wasabi green laser etched peacock eye daggers make this a statement piece! Beautiful tonal limelight and opal ivory with mercury finish pinch beads make the rope of this braid feel luxurious.